Yesterday was a brilliantly sunny fall day, perfect for tromping around Sweetwater Farm on their pumpkin day. We got to see the last of their summer harvest that supplied the Fairmount Neighborhood Farmers market all season long, and the preparation for their winter crops that will continue to supply their Good Food Easy CSA. 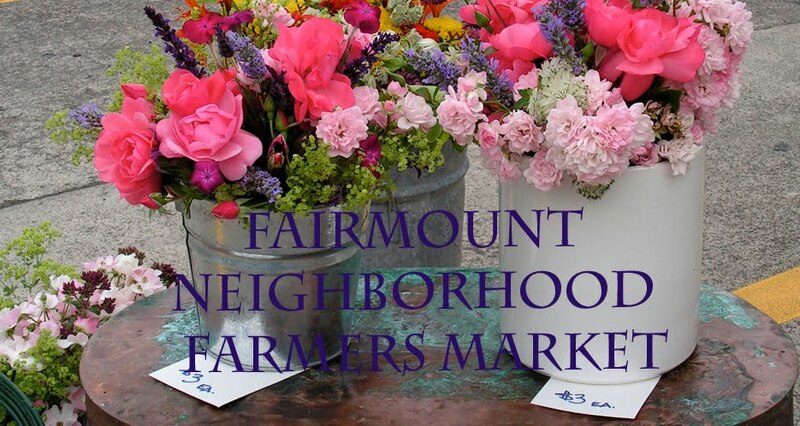 We're so thankful for all the Sunday mornings that the Fairmount Market farmers got up early over the summer to set up the market. 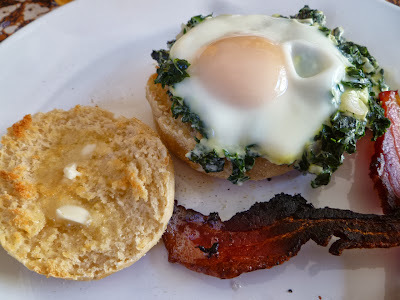 This morning, we indulged in a leisurely breakfast of eggs florentine, made with local creamed kale on top of Eugene City Bakery English muffins and accompanied by Fair Valley Farm bacon. I hope all the farmers enjoyed a leisurely Sunday morning as well. 1. Set a pot of salted water to boil. Rinse the kale leaves and cut out the hard stems. Chop the leaves coarsely. 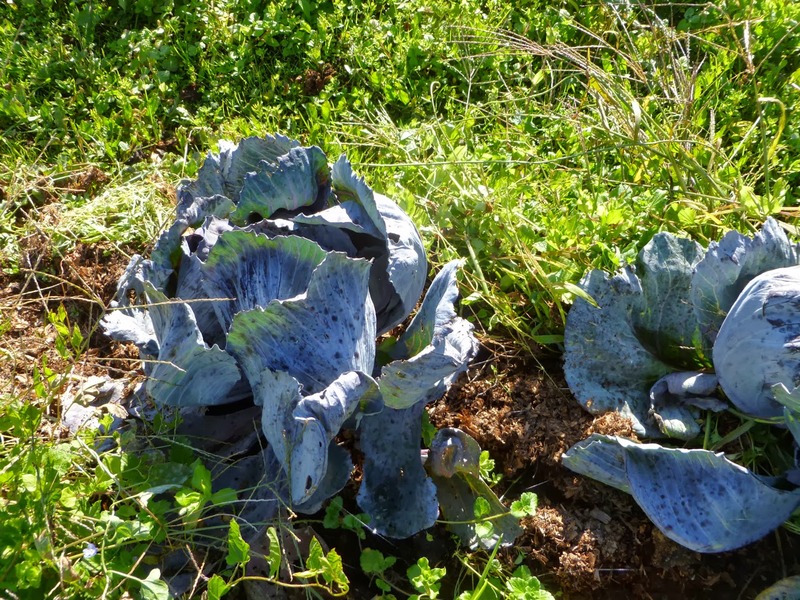 When the water comes to a boil, blanch the kale leaves for one minute. Then drain and rinse with cold water. Squeeze out the moisture from the leaves and chop finely. 2. Peel and finely chop the shallots. Heat a large, wide skillet with a lid over medium heat. Add the butter and once it has melted and started to foam, add the shallots. Cook the shallots until glassy. Add the chopped kale and a generous pinch of salt and saute for a minute or two. Now add the cream, stir well, bring to a low simmer, and lower the heat. 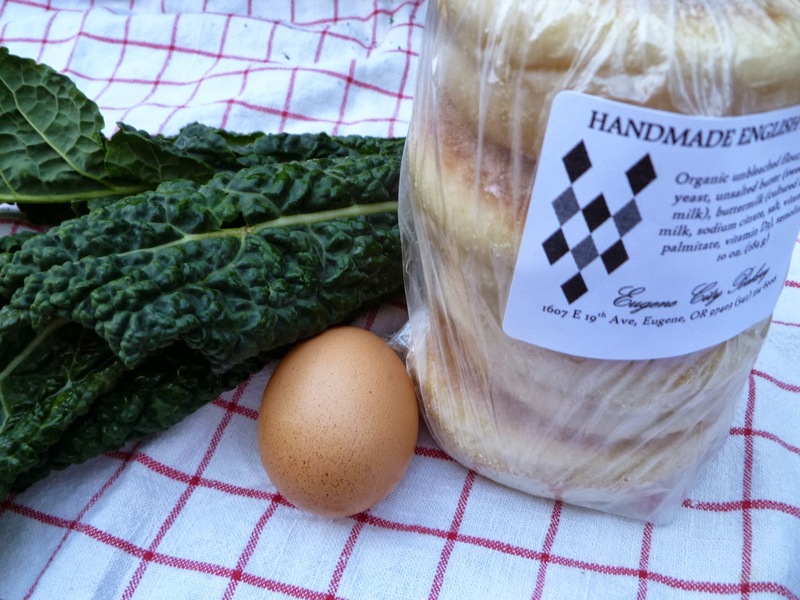 Crack the eggs directly over the creamed kale. Cover and cook for about five minutes, until the achieve your desired degree of hardness. When the eggs are done, remove from the heat. 3. Toast the English muffins. Butter them and top with creamed kale and eggs. Enjoy.